Fragrance is one of the lovely parts of a garden but is often overlooked when the blooming period is in peak. Our awe and attention is drawn to the blossom rather than its perfume. So if you are looking for a scent not to be missed, here’s one honey of a specimen tree that wafts of sweetness. Unless your sniffer is on the fritz, this aromatic blossom is a hard one to ignore. 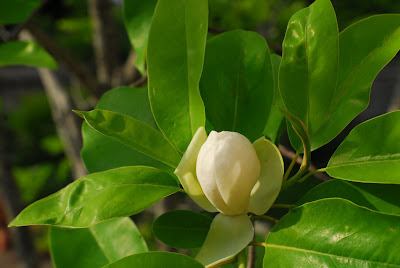 The fragrance of a Sweet Bay Magnolia is the number one reason to plant this rare native. Depending on form, in the plant world it can be considered a large shrub (15-20 ft.) or an ornamental tree. In mild winters it can hold onto some of its leaves, making it a quasi semi-evergreen. Its glory though is its bloom cycle. The intoxicating fragrance of one blossom in a saucer of water can overwhelm a room; superior to any of those fake plug-in air fresheners. Its perfect location is adjacent to a terrace or outside a window where everyone hangs out. You can plant its understory with medium to low-growing shrubs, herbaceous perennials and groundcovers, adding to this spectacular garden moment. 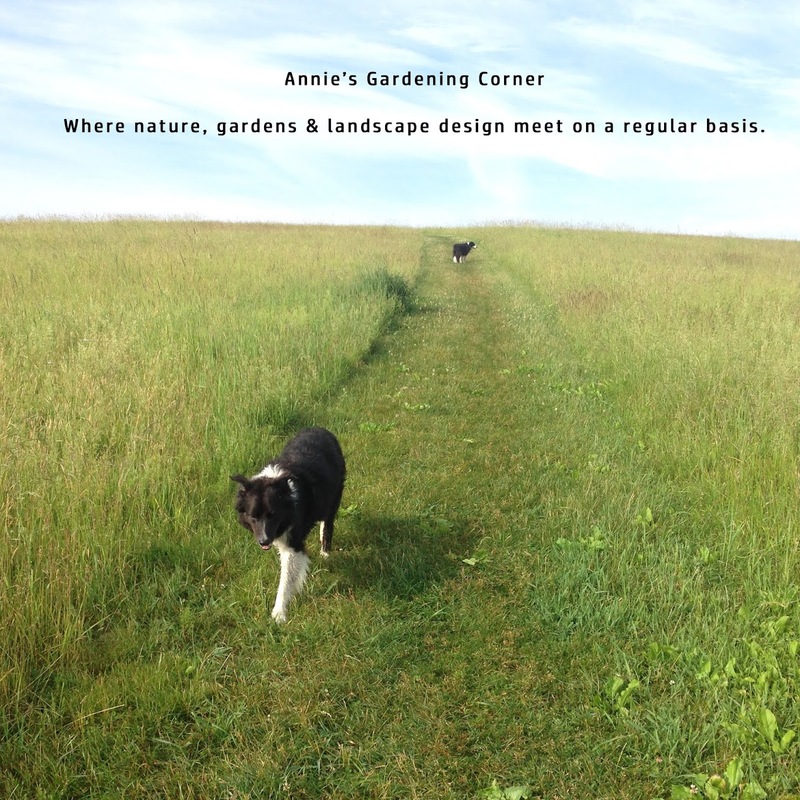 So speaking of garden moments, it’s time to wrap up this blog on an overcast summer morning. A Heinrich Heine quote seems appropriate when speaking about scented blossoms. "Perfumes are the feelings of flowers." Did Heine know about the scent of this glorious Magnolia because this blossom tips the chart on perfume! Start your summer off on the right foot and look for this delightful Magnolia to add to your garden moments. Make it a Sweet Bay of a day. Find a distinctive planting location and let the wafting begin! Landscaping, I posted your comment but for whatever reason, Google is having it's own way on this rainy day. Thank you for your gracious compliment. So glad you enjoy the post.